Philanthropists face a formidable challenge when it comes to understanding where they can play a role in eradicating the roots of radicalisation and promoting tolerance. The conversation is complicated and uncovering clear-cut answers can prove daunting. Two of Indonesia’s most sought-after radicalism experts, Yenny Wahid and Sidney Jones, however, would argue that philanthropists might be some of the most well-equipped when it comes to contributing to the overall picture. 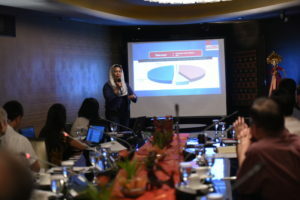 Wahid and Jones joined Asia Philanthropy Circle, at Alun Alun Indonesia, in Jakarta, to provide an updated situational analysis on rising radicalism in Indonesia and the wider Southeast Asia, and share their thoughts on where philanthropy can contribute to the promotion of tolerance and the countering of radicalisation. From the outside it might seem that the philanthropy and de-radialisation have little overlap, but as you dig deeper you see that a lot of potential synergies. Wahid and Jones explained that key elements of business—strategy, research and tangible benchmarks — which many philanthropists use in running enterprises – act as three crucial avenues where philanthropists can lend both guidance and support. Jones cited Poso, in South Sulawesi, as an example of poor data resulting in failure. In Poso, Jones explained, extremist cells began to flourish after the communal conflict between Muslims and Christians ended, the government had a programme to provide released prisoners with skill-training to help them get jobs. The government made no attempt to link the skills taught with the demand of the labour market. Against this backdrop, the government drew up a list of proposed participants but failed to ask participants what skills they already had and assumed, wrongly, that all prisoners would be unemployed. The Wahid Center, for which Wahid serves as the Executive Director, promotes community empowerment projects, youth initiatives and programmes to promote traditions of tolerance and peace. So what does a good prevention programme look like? For philanthropists in both Indonesia and beyond, the question continues to be: Why is radicalisation on the rise and what can I do about it? But before philanthropists dive into roots and causes of radicalism, there should be a reflection on what can be done to build and bolster the promotion of tolerance and acceptance in countries like Indonesia. APC members present at the dialogue commented that perhaps of even greater concern than potential terrorist acts would be the risk of a rise in intolerance and oppression—of minorities based on race, religion or sexuality, or of women, for example. Philanthropists can demonstrate, through words, and more importantly, actions, the values of compassion and inclusiveness. For example, supporting Sustainable Development Goals 2-4, i.e. to fight malnutrition, and to promote health and quality education, may directly or indirectly support a more tolerant and compassionate society. 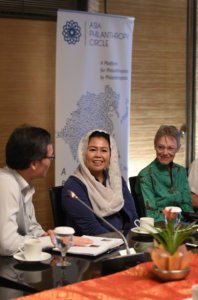 Given the urgent need to address rising intolerance and radicalism, Asia Philanthropy Circle members have recognized that they can play a role in contributing to the situation. Based on our initial research and current resource programmes, APC has decided to focus more on the prevention of radicalism. In working upstream on youths before they are already radicalised, the approach is premised on the assumption that the impact will be even more effective. Ultimately, APC programmes can tap into pre-existing youth engagement and education programmes run by members from throughout Southeast Asia, resulting in higher impact projects with less lead-time and more reliable results.